The legume family consists of more than 16,000 species of vegetation that are commonly referred to as bean plants. Legumes are more than just plants, however. The entire family consists of trees, shrubs, plants, herbs and vines. Though these plants and trees are vigorous growers, these flowering plants are susceptible to many fungal diseases. Bean rust is a fungal disease that infects all areas of the bean. This rust disease develops on old, dead debris that lies around the legume. Fungal rust germinates during cool, humid weather and its fungal spores are transported by wind and rain. Infected legumes will first develop small, raised foliage spots. These spots are often pronounced with yellow halos. Progression of the disease causes these spots to turn yellow, collapse and defoliate. Bean rust can be controlled and prevented with chemical treatments, although the currently infected crop can be lost. Fusarium root rot is a soil-borne fungal disease. 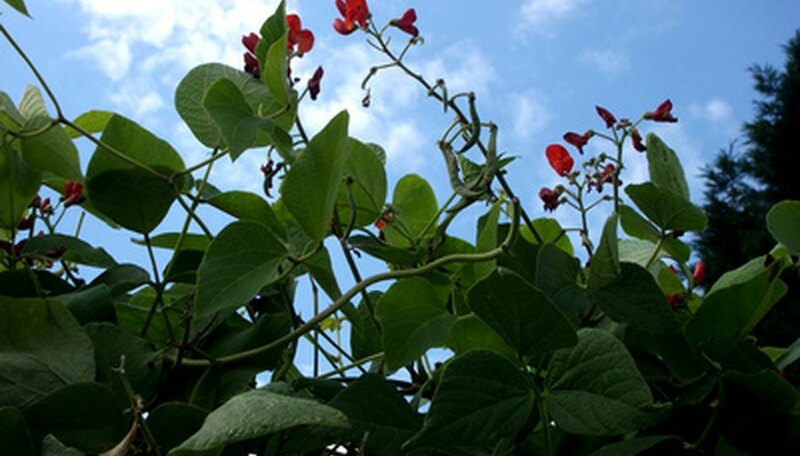 This disease is especially detrimental to dry and snap beans, as it quickly kills young legume plants. Fusarium root rot infects legumes through the root system. The stems of the infected legumes become girdled with lesions and cracks which run down to the root system. The damaged roots are killed by this fungal disease, which results in the growth stunt, dieback and discolored foliage of the legume. Fusarium root rot can survive for many years in the soil without a host, and there is no chemical treatment to control or prevent this disease. Powdery mildew is a fungal disease that can be damaging to the legume. This mildew infection begins with small, white spots on foliage. Though young foliage can become infected, the older foliage is most vulnerable. These fungal spots accumulate to develop white fungal coverings across the foliage. The infected foliage experiences growth stunt and dieback. Powdery mildew also infects legume pods. These infected pods take on a purplish color and become distorted, as explained by the Alabama Cooperative Extension. Unlike other powdery mildew infections, infected legumes are easily killed by this disease. Sulfur-based chemical treatments are most effective in controlling and preventing legume infections.